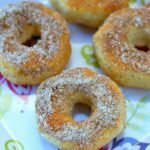 Easy and delicious Air Fryer Donuts recipe. A quick and easy breakfast that your family will love! I’m hooked, ya’ll! I am hooked on cooking ALL the things in my Air Fryer and I am making no apologies about it. One of my most popular air fryer recipes is Air Fryer Beignets, followed by Pierogies in the air fryer and frozen burrito in the air fryer. And don’t forget my favorite sweet treats with the Air Fryer Churros, Air Fryer French Toast Sticks recipe AND Air Fryer Smores Pop Tart recipe! And now I have another AMAZING Air Fryer recipe for you! 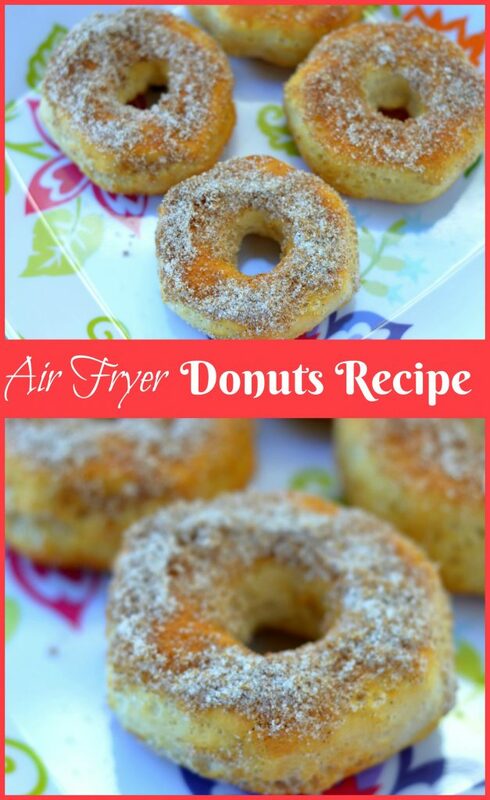 Behold, Air Fryer Donut Recipe! Combine sugar, cinnamon, brown sugar, and allspice in a small bowl, mix and set aside. Remove biscuits from can and use a 1-inch circle biscuit cutter to cut the holes out of the center of each. Air fry at 350 degrees for 5 minutes, pausing the Air Fryer halfway through to flip each donut. 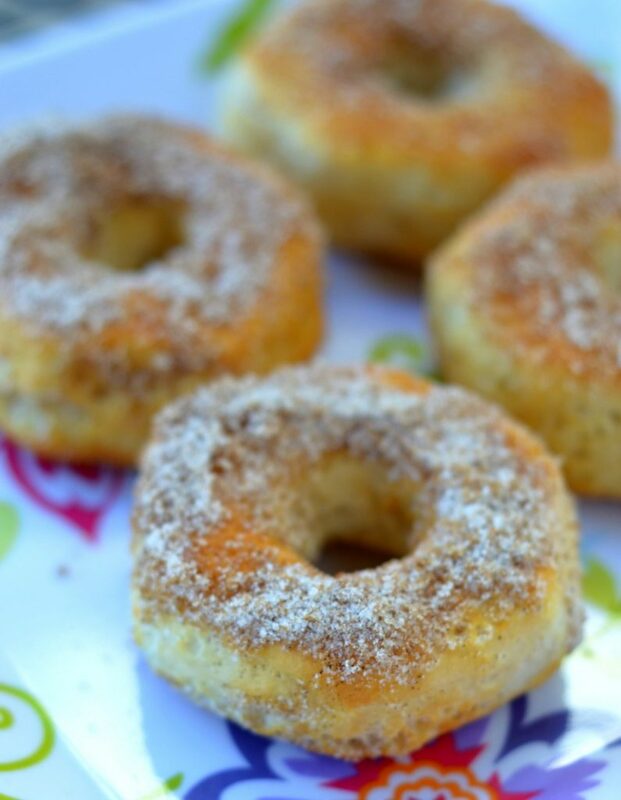 As each batch of donuts and holes comes out of the fryer, brush each donut with the melted butter and drop the donut into the sugar/cinnamon mixture. Gently shake off excess and serve warm! 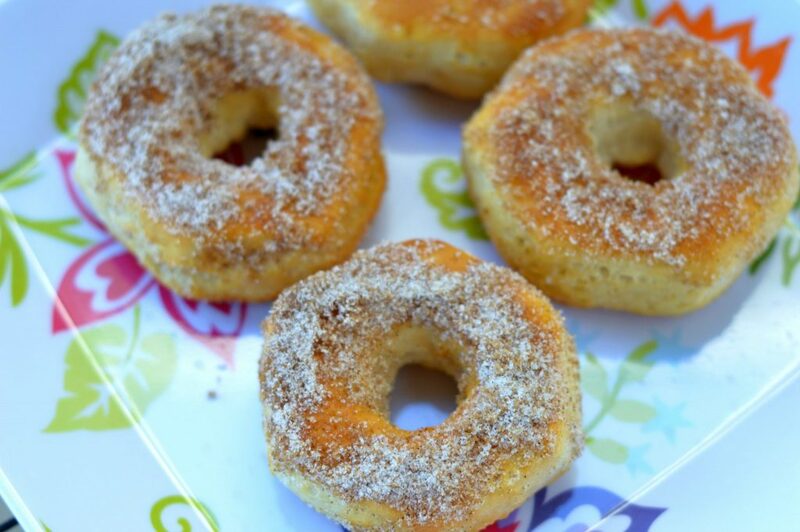 Combine sugar, cinnamon, brown sugar, and allspice in a small bowl, mix and set aside.Remove biscuits from can and use a 1-inch circle biscuit cutter to cut the holes out of the center of each.Air fry at 350 degrees for 5 minutes, pausing the Air Fryer halfway through to flip each donut.As each batch of donuts and holes comes out of the fryer, brush each donut with the melted butter and drop the donut into the sugar/cinnamon mixture.Gently shake off excess and serve warm!